Tonight I break from my trip recap, and instead return you to my regularly scheduled programming – my day to day eats. I just had to post about my kitchen’s latest culinary creation today! I originally found these tacos on the Prevention RD blog, and then later saw the recipe in a recent issue of Cooking Light. They were promptly added to the next week’s meal plan. Kung Pao will always remind me of one of my freshman roomies. (Yes, I had multiple roommates – I lived in a quad. One big room with four girls!). One night after an evening out, she adamantly declared to our entire dorm hall that she in fact, knew “KUNG PAO! ", complete with karate kicks and all. 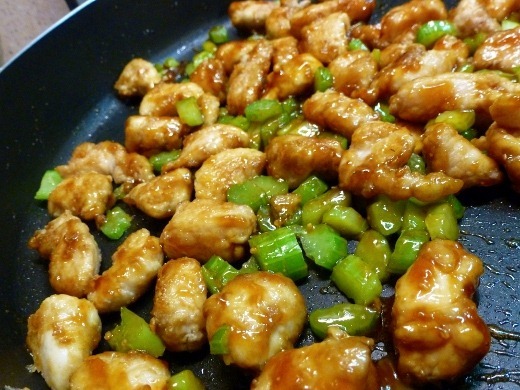 Clearly, the dear meant “Kung Fu,” but the mention of Kung Pao still brings back that memory! 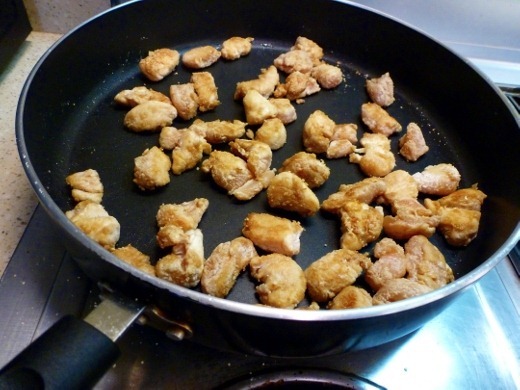 For this recipe, I used boneless skinless chicken thighs, cut into 1” pieces, and marinated in soy sauce, tossed in corn starch, and then sautéed over medium high heat until browned and cooked through. 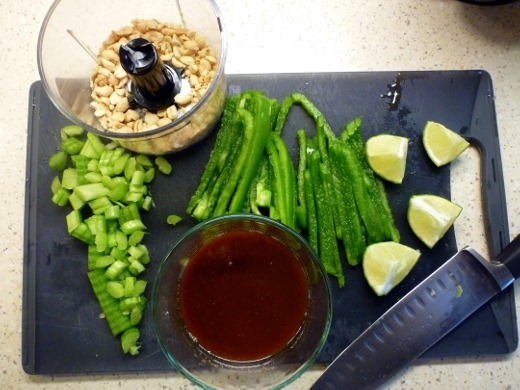 Kung Pao sauce: soy sauce, honey, sesame oil, rice vinegar, sambal oelek (ground chili paste – easy to find in the international aisle! ), garlic, and corn starch. The Kung Pao sauce tasted of restaurant quality! It contains soy sauce, honey, sesame oil, rice vinegar, Sriracha, and corn starch. After combining the ingredients, the sauce is then microwaved for about 60-90 seconds, until slightly thickened. I recommend pausing the microwave at 30 second intervals to stir – don’t over-microwave it! After microwaving, the sauce will have thickened, and minced garlic is added. Add the sauce to the skillet, along with the peanuts and celery. Oh my. This looks – and tastes – like take-out Chinese! 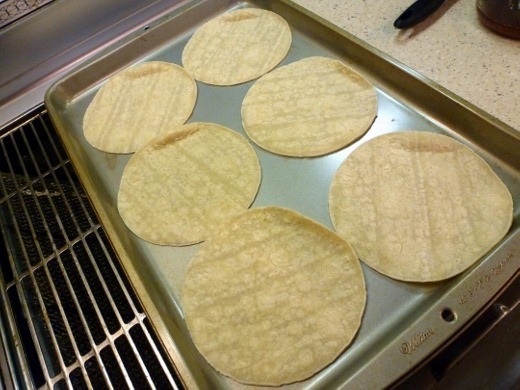 Corn tortillas were warmed under the broiler. Easy assembly! 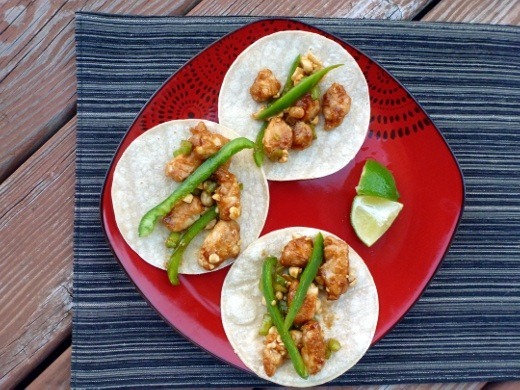 A squeeze of lime takes these Kung Pao Tacos over the top. 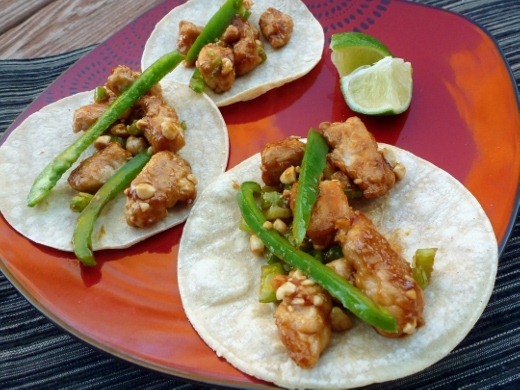 The crisp exterior and warm, juicy interior of the chicken bites, bathed in the sweet and tangy Kung Pao sauce, made for a pretty awesome taco! The crunchy peanuts and celery added texture as well. Scallions are another suggested topping that I didn’t have on hand but recommend. I love what a unique and different idea these tacos are - a great way to shake up taco night, with a little Asian inspiration. This recipe is a keeper! Don’t skip the squeeze of fresh lime! Pingback: Meal Planning for the Week of December 1-7 « Meg.Goes.Nom.Nom. Pingback: Meal Planning for the Week of December 8 – 14 « Meg.Goes.Nom.Nom. 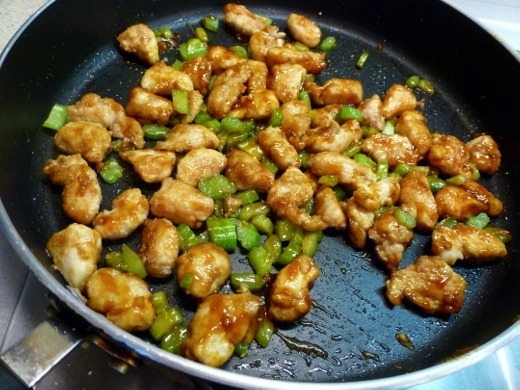 Pingback: Spicy Basil Chicken | Meg.Goes.Nom.Nom. Pingback: Dinner Meal Plan for May 11-17 | Meg.Goes.Nom.Nom. Pingback: Dinner Meal Plan for May 18-24 | Meg.Goes.Nom.Nom.